Analysis: Fatah and Hamas – Deal or no deal? One week after its signing, the agreement reached between Hamas and Fatah last week – accompanied by pictures of handshakes between the two sides in Cairo and celebrations in the streets of Gaza – is already throwing up many unanswered questions. The deal formalised the previous agreement that the Palestinian Authority should take back control of its ministries in Gaza, setting a deadline of 1 December for the process – which has already begun – to be completed. It also allows the PA to resume the running of Gaza’s border crossings with Israel and Egypt. Moreover, 3,000 policemen are to be transferred from the West Bank to the Strip, with the 12,000-strong Gaza police force once again coming back under the PA’s authority. The deal sees Fatah and Hamas agree to enact the 2011 Cairo agreement, which will kick off the process towards holding national elections and thus the forming of a unity government. Analysts have also noted that the agreement states that both Fatah and Hamas seek a Palestinian state “on all the Palestinian territories occupied in 1967, with Jerusalem as its capital”. Hamas has previously indicated its willingness to accept this as an interim step towards its long-term goal of establishing an Islamic state in Israel, the West Bank and Gaza. Nonetheless, huge challenges remain, as President Mahmoud Abbas’ statement welcoming the agreement as “steps to end the division” appeared to recognise. First, Hamas has already expressed irritation that Sunday evening’s meeting of the Fatah Central Committee in Ramallah failed to discuss the lifting of sanctions imposed by Abbas earlier this year. Those sanctions, introduced after Hamas formed a shadow administration in Gaza, saw the salaries of civil servants slashed; a reduction in the PA’s payments for electricity in the Strip, leading to widespread power cuts; and a slow-down in the processing of applications by Gazans seeking medical treatment outside the embattled enclave. Abbas’ failure to drop the sanctions, said Hamas, meant the president “must bear the responsibility for exacerbating the people’s crises and their suffering”. Second, a row appears to be brewing between the two sides over Hamas’ distribution of government land – introduced to help it pay off debts to civil servants – to its members. The head of the PA’s Land Authority has suggested that it will not accept Hamas’ actions. “We have no connection to what was distributed to citizens during the period that the PA was absent from the Gaza Strip,” Saed Nazif bluntly suggested at the weekend. Third, Fatah has said that border crossings between Gaza, Egypt and Israel will be run in accordance with “international agreements” signed by the PA. This appears an oblique reference to a deal struck between Israel and the PA in 2005 which says Abbas’ men will “prevent the movement of weapons and explosives at the Rafah Crossing”. Hamas has used these crossings to smuggle weaponry. Fourth, crucially, while Abbas has long insisted on the principle of “one state, one government, one gun”, the deal made no mention of Hamas’ 25,000-men military wing. 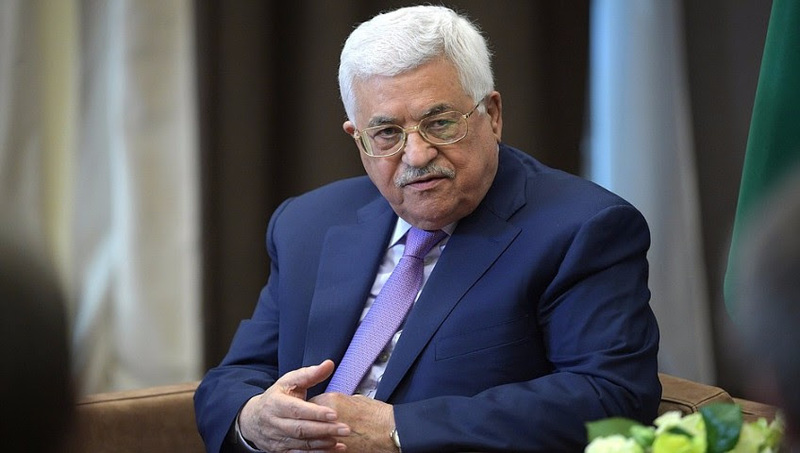 The PA president has been adamant that the formation of any unity government is dependent on Hamas disarming, and that he will not accept a situation like Lebanon, where Hezbollah maintains a huge private army. The importance of Hamas’ continuing unwillingness to disarm was underlined when the group denied reports this week that it had agreed with Fatah to stop attacks on Israel from the West Bank. “What the occupation [Hamas’ description of Israel] published on the resistance halting in the West Bank is not true,” a Hamas spokesmen said in reference to stories in the Israeli newspaper Maariv. Although Hamas has in place a ceasefire with Israel in relation to Gaza, its forces routinely plan and attempt to execute attacks on Israel from the West Bank. The PA and Israeli security forces work closely to uncover and halt these attacks. Hamas’ deputy political head, Saleh al-Arouri, who signed the deal in Cairo, is in charge of the group’s West Bank operations. Israel believes he has planned numerous terrorist attacks, among them the kidnapping and murder of three Israeli teenagers in June 2014; an event which triggered the 2014 war. As Jack Khoury suggested in Haaretz this week, recognising that governing Gaza is hitting its popularity, Hamas is keen to divest itself of its political responsibilities. However, it has no desire to give up its considerable military power; indeed, while threatening to “break the head” of anyone who attempted to disrupt the reconciliation agreement, Hamas leader Yahya Sinwar also warned Israel that it could launch as many rockets against the Jewish state in 51 minutes as it did during the seven-week 2014 war. Nonetheless, Abbas remains desperate for a deal, knowing that his negotiating hand in any future US-led peace initiative will rest on his ability to speak for all Palestinians, and not simply those of the West Bank. Thus, suggested Khoury: “The agreement is mainly a confluence of interests, best described as follows: The PA and Fatah will rule above ground and Hamas will rule underground.” Indeed, quite literally: it is reported that during the Cairo talks, the PA asked Hamas for a map of the tunnels in the Gaza Strip; the terror group failed to even respond to the request. • All humanitarian needs of Gaza residents to be facilitated though the PA. But, while the statement said Israel would not engage in peace talks until the conditions are met, it did not say Israel would cut ties with the PA or end security cooperation. Hamas and Fatah will meet again in Cairo later next month. But the issues they now have to tackle are both more complex and thorny than those which led to last week’s agreement.